Gifts from the Pirates: "Virtue has a veil, vice a mask." 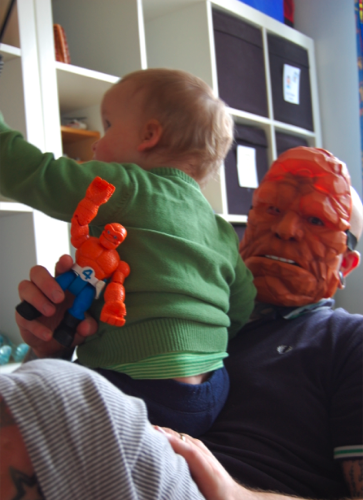 At some point in the day, pretty much every day the masks will be on in our house, we love role play especially if it means that Seth gets to have a bit of a scrap. Its great being able to just throw one on and act like a child for an hour or so (not that i usually act like a grown up). After seeing the Avengers movie i felt it a necessity to own all the masks, I'm a Captain America kind of guy, Seth will nearly always go for Thor and Opeie well need i say it? he's a Spider-Man boy through and through. I decided to write this post last week, i had been looking for the Hulk mask with the light up gamma eyes for quite some time but they were going for stupid money on eBay but while we were in TK Maxx both me and Mrs M spotted one at the same time for a mere fiver. I walked in Seth's room earlier to find Mrs M looking very fetching in it and a hulk costume. Hot!!! 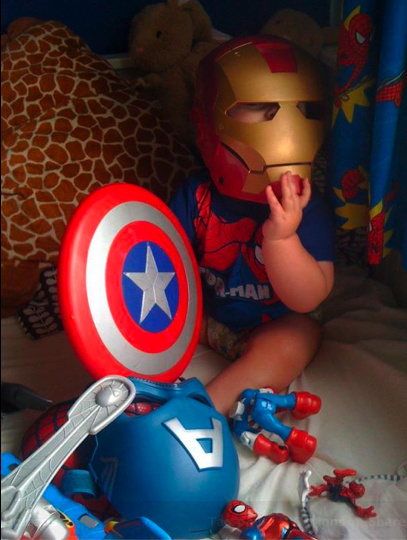 Seth loves taking the Masks and accessories down the park so that we can run about being the avengers etc. We do get some funny looks but thankfully none of us care less. Its all about the boys and if their happy then were happy. Theyve always got a smile on their faces. Its not all about marvel though, sometimes we get an unpleasant visit from the Sith Lord himself he generally potters round the house harassing Opeie. I'm still looking to get hold of a Boba Fett mask like the Vader one as we have the blaster so it would be rude not to. I don't much like living in the real world, i am happiest playing with the boys in our super hero fantasy land. Ive come in to contact with all manner of villainous people in my life and it seems that a lot of people we me eet these days are wearing some form of mask meant to serve as a decoy for what they are really like. 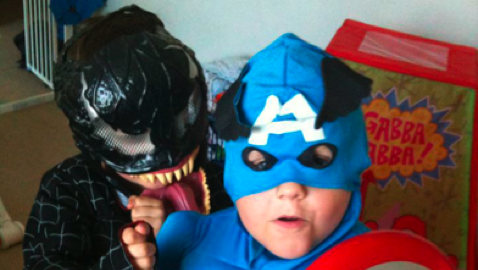 Thankfully the only masks we wear in our house are the Super hero kind. We are a genuinely happy family. where did you get the other masks from? I'm in America and still struggle.